Home›Beginners›How Is Iyengar Different from Other Forms of Yoga? Often students ask: What’s the difference between Iyengar and Bikram yoga? What’s the difference between Iyengar yoga and Ashtanga? As part of our Blog Series we’ve put together a no-nonsense article comparing Iyengar, Bikram, and Ashtanga yoga. Tried another form of yoga before? Tell us how you think Iyengar is different by emailing us at info@marrickvilleyoga.com.au with ‘What Is Iyengar?’ in the subject. Iyengar: B.K.S Iyengar found the meaning of the sutras by practical search and regular practice. Iyengar Yoga has shown and taught how all the eight aspects of astanga yoga are integrated and teaches that all people regardless of age or ability should be able to practice yoga. Bikram: This relatively new style of yoga was invented by Bikram Choudhury in the late 20th century. Bikram yoga is all about generating heat and releasing toxins through excessive perspiration. Ashtanga: Iyengar and ashtanga yoga come from the same lineage. BKS Iyengar and the late Pattabhi Jois, who developed Ashtanga, were both taught by Tirumalai Krishnamacharya. Ashtanga is channeling or controlling the fluctuations of the citta – the sum total of our: thoughts, desires, senses, emotions, personality, intellect, perception, memory, understanding, recognition and cognition. Iyengar: Iyengar yoga is interested in helping students achieve, maintain health and wellbeing. 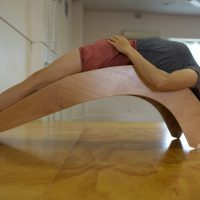 Iyengar does this through emphasising precision and alignment in all poses, using props to assist all people to be able to access yoga, and through sequencing – meaning there is importance placed on when and how poses are done. Iyengar does not subscribe to fads or quick-fixes and instead works from the premise that consistent and sustained practice helps to address health issues and also prevent them. Iyengar yoga practitioners often align their practice with the season as a way to keep in tune with nature. Bikram: It is a combination of Hatha yoga and other yoga techniques and offers a set of breathing exercises and 26 poses. The temperature is usually around 40C degrees with 40% humidity. The aim of the poses in Bikram yoga is to stretch and strengthen the muscles and also compress and rinse the organs of the body. Ashtanga: Ashtanga is a highly energetic, very vigorous form of yoga. Ashtanga yoga is based on the idea that the sweat generated by Ashtanga practice removes the toxins brought out by the boiling blood. Ashtanga teaches that thinner (boiled) blood circulates more freely and claims its better able to remove pain, impurities and disease. Iyengar: In Iyengar the range of different poses and specific sequences are used for different purposes, with the teacher monitoring students and also making adjustments. Iyengar also makes use of props to ensure all bodies at all stages of life can access yoga. Different students also work at different paces under the guidance of the teacher depending on need and there is the option to practice more independently in LED classes. Bikram: Bikram is often called Hot Yoga as the yoga is practiced in an artificially heated room. The class is fast-paced and aimed at getting the heart working at a particular pace and keeping it there. Ashtanga: In Ashtanga each pose is held for five breaths and students practice salutes to the sun in between poses to keep up the pace. There is limited teacher feedback and the option to practice more independently in Mysore classes. Just to clarify we teach in the Iyengar method at the centre. Although there are some truths in this article regarding ashtanga yoga, the main inaccuracy about teacher trainings. Teacher trainings are accepted in this tradition. Anyone caught holding a teacher training that has been authorized will lose their authorization. Parampara is the way we are taught. Sharath jois is the only person in the world that can authorize someone. The minimum about if time it would take to get the most basic authorization would be 4years. Parampara helps to maintain the authenticity of the practice and the quality and education of the teachers. Sorry for all the typos. I was commenting by phone and should have proofread before hitting send. Teacher trainings are unacceptable in ashtanga yoga. Yoga is a physical and a spiritual practice, therefor, Bikram is not considered as yoga. You migh as well compare Iyengar yoga and Zumba or rope jumping. Bikram is abusing the word yoga. Great article, however I would like to clarify the info about teacher training for Iyengar yoga, which in UK takes only 2years (intro I and II) and it contains less than 200hours in total (180 to be precise ) as far as I know. Not much compare to others trainings where minimum is 200hours. 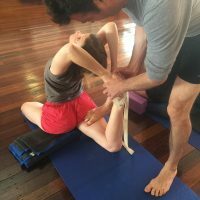 I love Iyengar yoga and (have done Bikram and Ashtanga in the past), but I’m getting annoyed when Iyengar teachers are unfair towards other styles, implying that just the Iyengar training is the right one and the best without even trying others. Hi Magda, what you’ve said is not quite true. The Institute in Pune has set out the guidelines and globally they are followed. To achieve an Intro II certificate, you have to have 400 hours in total, and they are all full contact hours, but that is a minimum, most people do more. Also the assessment processes is not a guaranteed pass, you have to show that you’ve achieved a certain standard, it’s a long processes. However, the main difference is how long you have to have attended yoga prior to teacher training and the fact that in order to keep the certification you have to continue with annual Professional Development, very few styles of yoga demand that of their teachers. Thanks for your note Lucie! Yes this is so true, just because you do the mandatory hours does not give you an automatic certification. You have to sit an assessment process where you have a panel of Senior Teachers assessing you (not your teacher trainer) and the pre-existing level one (180hours) did not give you your Certificate it was a pre-leading assessment to ensure you were on the right path and gave you constructive feedback on your progression. I don’t think you were ever ‘showing up’ other styles more so trying to explain how well qualified Iyengar Teachers are. Having studied Iyengar Yoga and gone through the assessment process which is separate from the training I have to say that Iyengar Yoga is by far the best training to become a teacher. And also the training might say a minimum of 2 years, I studied 5 years and then I got my certification. And yes I do think it is by far the best training available to anyone who actually wants to become a good teacher that understands how to instruct the poses correctly. There are far too many clowns out there teaching who have got no idea – they think yoga is about flexibility and a lot of teachers because they haven’t done the study have to do the class with the class in order to teach otherwise they don’t know what to say – that says it all to me! Thanks for your note – and you make a great point there.